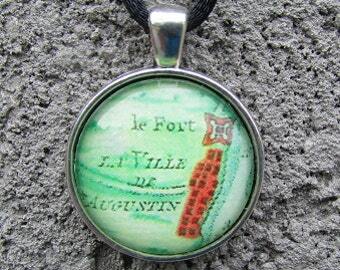 This vintage style necklace features a copy of a historic map of Savannah, Georgia (first pic). 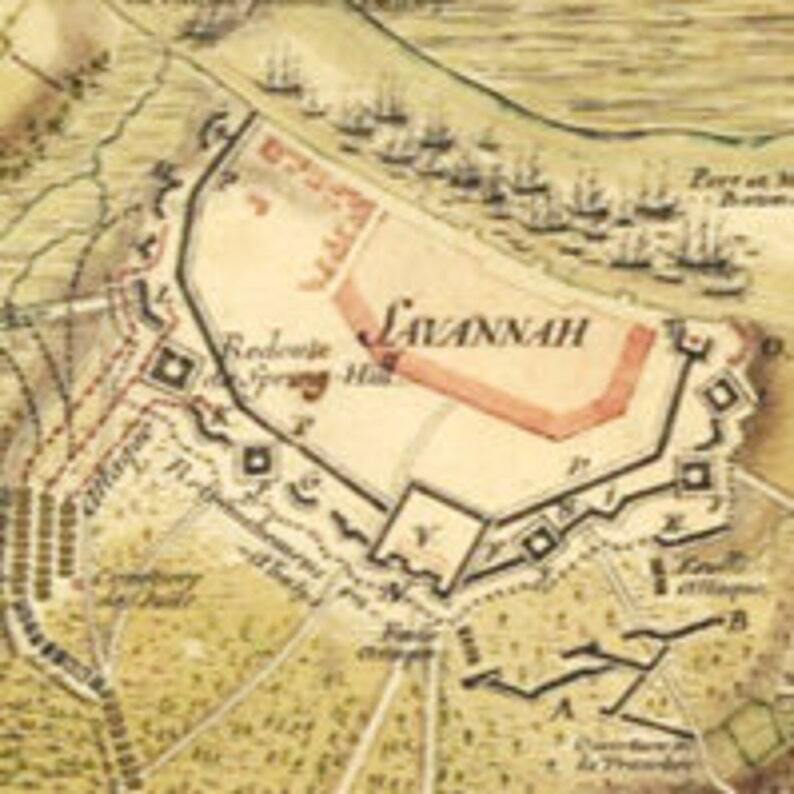 The map titled, Siège de Savannah was created by Pierre Ozanne in 1779. The portion of the map used for this necklace depicts a French siege on the historic city of Savannah.